Cozy Games have done it again, with the introduction of a site specially designed for those of you who love gaming on your mobile. Mobile Bingo Bonuses would like to introduce you to Pocket Fortune, with its quirky denim pocket theme and hilarious miners; yes we said miners! Pocket Fortune provides a site with the latest technology, which will ensure you have the highest standards of games on your mobile and tablet devices. No more shoddy graphics or glitches, just grab your Android, iPhone, Windows or Blackberry and login when and wherever you like. 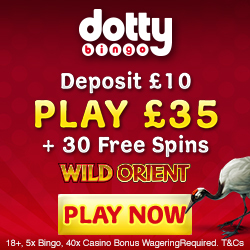 Of course the most important part of the site is the games and on Pocket Fortune you can enjoy table casino, scratch cards and video slots such as Honey Bees and Fish Toons. From the moment you register you’ll feel welcomed by the site, because after you confirm your banking details they’ll give you a £10 no deposit bonus. This is Pocket Fortune’s way of letting you test out their games, so they can show you how good they really are. Daily Login – For merely depositing in the previous seven days, you’ll be given the chance to spin their wheel of fortune. Make sure you login and check your account, because you’re guaranteed a prize. Slots Cashback – Fancy up to 20% cashback bonus? All you have to do is deposit a minimum £50 within the week and the credit will be added to your account. Bonus Bonanza – Use promo code TOPUP on a Monday or Tuesday and you’ll get a minimum 25% cash match; if you’ve made two previous deposits. By referring your friends, you’ll receive a £10 Amazon Voucher to use however you like. 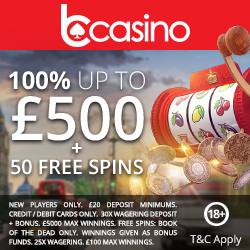 They only need to have registered and deposited a minimum £10, for you to receive this amazing bonus. If you want to keep up on the latest game launches and promotions, then check out the Pocket Fortune Facebook, Google+, Twitter and You Tube pages. Should you have any questions or require additional support, then you can contact a Pocket Fortune representative via email, telephone, by raising a ticket or live chat. For many the realisation that Cozy Games offer Boku is exciting, because this is probably one of the easiest methods of banking around. You only need to confirm your 11 digit mobile number and then the credit will be added to your account. There is a cap on the amount per day which can be added, but this will increase over time. Once you receive your mobile phone bill, you’ll notice the deposits recorded and so you just pay it off. To take advantage of these amazing welcome bonuses, simply head over to Pocket Fortune and register.